Klik hier voor de Nederlandstalige pagina. Mallards are among the least appreciated, but at the same time most fascinating and abundant bird species in the Netherlands (and large parts of the Northern Hemisphere). Mallards play a central role in most of my research and this page is fully devoted to this species. Mallards are partial migrants, which means that part of the population migrates annually, while another part remains sedentary throughout the year. At the local scale, Mallards present the most peculiar movement patterns as described in this PhD thesis. They are creatures of habit, repeatedly visiting the same sites in the landscape and timing their flights according to sunrise and sunset. Much is still unknown about the causes and consequences of these distinctive movement patterns. In autumn and winter, the Dutch resident population of Mallards is complemented by a large migratory population originating from Fenno-Scandinavia and Western-Russia. 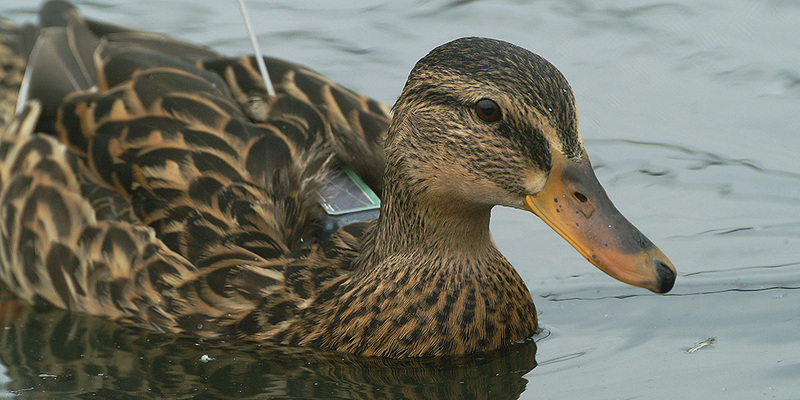 A colour-ringing project carried out in the winter of 2012/2013 revealed the extent of the Mallard flyway. Explore it yourself using this interactive map of Mallard resightings! In the winter of 2017/2018 I was involved in the study of Mallards wintering in the Bodensee region in Southern Germany, at the border with Switzerland. We equipped 45 birds with a GPS-GSM transmitter from Ornitela and are still tracking their every move. The birds are included in the Animal Tracker, the mobile app of the Max Planck Institute for Ornithology that can be downloaded for free. Here, you can follow the movements of the mallards yourself and you can even try to find them if one ends op close to you. Because of their abundance and very wide distribution, Mallards are increasingly recognized to play a major role in large-scale processes with important implications in ecology. Two important examples are the role Mallards play in the dispersal of plant seeds and the spread of Avian Influenza Viruses. Mallards are increasingly recognized as important players in the dispersal of plant seeds across the landscape. Mallards are among the best known natural reservoirs for Avian Influenza Viruses and is thought to play a role in the virus transmission to poultry. With an estimated global population size of 19 million individuals, the mallard is the word's most abundant duck species with a range covering most of the Northern Hemisphere. The Dutch breeding population is approximately 400.000 individuals according to SOVON. Despite its abundance, the Dutch population has been facing moderate declines since the 1990's. The reason for this decline is still a mystery. 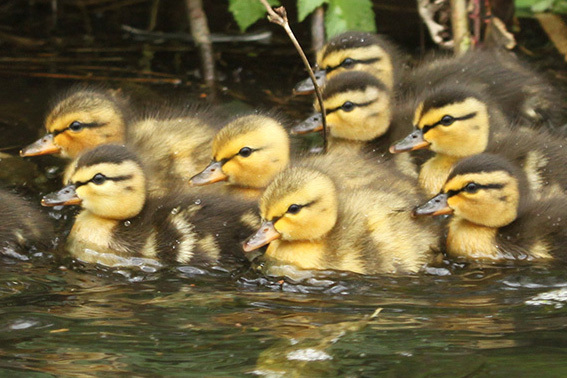 In 2016, we started a citizen science project to get a grip on the reproductive success of mallards in the Netherlands, since low brood survival may be one of the factors contributing to the decrease. Visit the project page (Dutch only). Click here for an impression of our new duck nest tube project! Kleyheeg E., Van Dijk J.G.B., Nolet B.A., Tsopoglou-Gkina D., Woud T., Boonstra D., Soons M.B. (2017) Daily movement distances and home range sizes of mallards (Anas platyrhynchos) are strongly affected by landscape configuration. Movement Ecology, in press.